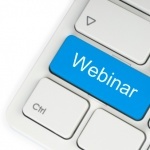 October 9, 2012 — While the government funding process can be confusing, a free Webinar Oct. 9 at 7:00 p.m. eastern is designed specifically to answer any questions that chiropractors may have about EHR/EMR and government incentives. It will be led by Dr. Kevin Sharp, an expert in compliant clinical documentation and insurance industry standards. 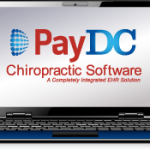 Chiropractors need to act quickly to remain eligible for up to $39,000 in government incentives for implementing electronic health and medical (EHR/EMR) records in their practices. Oct. 3 was the last day for eligible professionals to begin their 90-day reporting period to demonstrate meaningful use of certified technology. This would have qualified them for maximum funding up to $44,000 for the Medicare EHR incentive. However, chiropractors who missed this deadline can implement EHR in the coming months and still be eligible for up to $39,000 in incentives. Beginning in 2013 potential incentives will begin to decline and eventually will be followed by penalties for those Medicare providers that do not become meaningful users of certified technology. By the end of 2014, all medical records in the U.S. are to be converted into the electronic format as part of the Health Information Technology for Economic and Clinical Health (HITECH) Act, enacted as part of the American Recovery and Reinvestment Act of 2009. For more information, call Medicfusion at 866-643-7778.